M/Sgt. Weldon J. Harrell, son of Mr. and Mrs. F. E. Harrell, Graham, attended Graham High. Entered AAC in 1942, trained at Sheppard Field, Kelly Field and Chanute Field, Ill. Served in Italy and Corsica. Awarded GC, Amer. 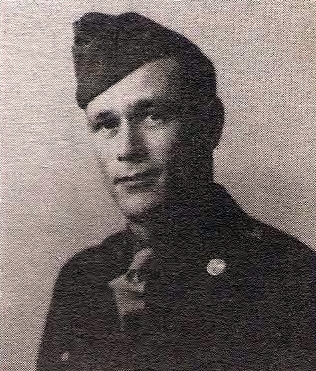 Theater Campaign Medals and EAME Medal with 7 Bronze Stars. Discharged in 1945.